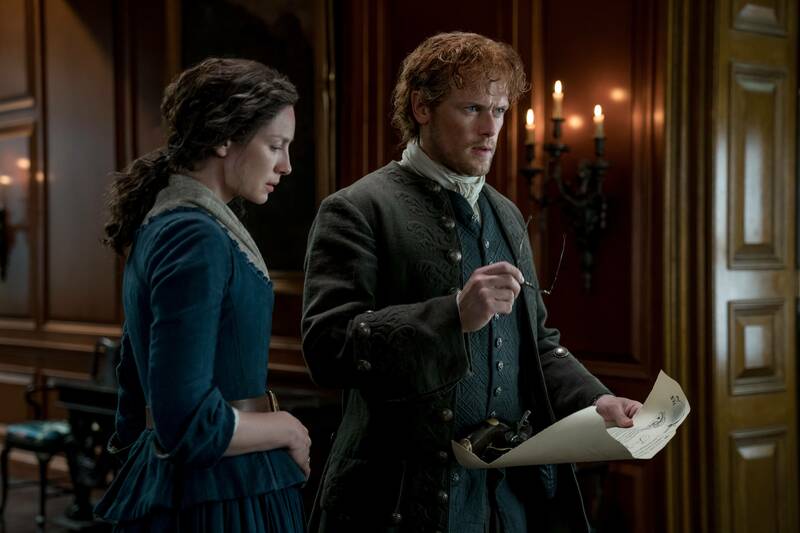 It what can only be described as a misfire of a season, Outlander ends its finale on an intriguing note, but one that took way too long to arrive to. By shifting focus away from Claire and Jamie, the series lost what interested audiences most, and instead the unlikable romance of Brianna and Roger took center stage. Outlander also deviated from the books, a move which may end up enriching the world Diana Gabaldon created. When Claire found the strange jewel alongside a skull early in the season, it felt like that stone, and the ghost accompanying it, was going to play a more prominent role in the season. Instead, it became merely set decoration until she, Jamie, and Young Ian arrive at Shadow Lake and come face to face with the tribe of Mohawk that have Roger. It’s clear the man who wore it was a time traveler who tried to warn the tribe of the future plight of the their way of life, but his message didn’t resonate in the way he’d hoped, and he was banished from the tribe and eventually killed by them. His stone around Claire’s neck is what keeps any trade for Roger between themselves and the Mohawk from taking place. The story of the stone’s significance nearly ends there, but a renegade band agrees to help them rescue Roger in exchange for the stone. This being Outlander, nothing goes as planned, and everyone is captured right after they set Roger free. In their captivity, Jamie offers himself in exchange for Roger, and vows to return to Claire when he can, but Young Ian stymies his bold offering. Without telling Jamie, Young Ian offers himself in exchange for Roger, and the Mohawk accept. When we last see Young Ian he’s run through the gauntlet, much as Roger was, and passes through it. He’s accepted as a member of the tribe, and beams with a smile from ear to ear. I’m curious how or if Young Ian’s story ever weaves its way back into the Outlander narrative. If not, it’s a huge loss, because he was a lot of fun in the story. Murtagh is another interesting character. In the books he’s killed off by this point in the story, but by deviating from the narrative and keeping Jamie’s godfather alive, the story is able to flourish in ways I don’t think it would without him being a part of it. His dealings with the Regulators leave him a wanted man, and when he arrives at Jocasta’s place he’s welcomed at first, but then he and Jocasta have some strong words for each other. They soon end up in bed after what can only be described as the longest courtship ever. It makes a lot of sense, and their characters mesh well together. In true Outlander fashion, right as these two begin to get comfortable with each other, British soldiers come riding up to River Run seemingly to arrest Murtagh. This isn’t the case though, and in a more interesting twist they deliver a letter to Jamie from Governor Tryon ordering Jamie to put together a militia, with his first order being to hunt down and kill his own godfather, Murtagh. This move sets up the next season nicely, and one can only hope Outlander learns from the mistakes and missteps of this season and course corrects heading into the next. The action and intrigue of Jamie playing both sides of the American Revolution is ripe for storytelling possibilities. The problem is if the focus of next season is even remotely about Brianna and Roger to the point where Claire and Jamie either don’t show up in an episode or only appear for half a minute, the season is destined to disappoint again. There are many loose threads running throughout this season that could or should be picked up next time around. The standing stone Roger found in North Carolina should be something that interests them all, as well as the idea of whether or not Brianna and Roger could bring their child through the stone and return to the present. John Quincy Meyers helped bring Claire and Jamie to Fraser’s Ridge and befriended Young Ian, but then completely disappeared from the narrative after the bear attack episode. He was such an interesting character, that it’s hard to believe he was used so little. His relationship with Young Ian is something that could be focused on more in the future since he already traps and trades with native tribes. It only seems likely that he might run into Young Ian or find himself at Shadow Lake. There’s also the escape of Stephen Bonnet right before the prison exploded. Surely his story isn’t finished. He’s just too juicy of a character to be done with. Besides, Jamie never got his revenge on him. What season 4 of Outlander made blatantly obvious, is that there’s no easy way to change the focus of your story by bringing in another love story to direct the attention too. Both Brianna and Roger are wildly unlikable, and even though there was the “will he come back for her or won’t he” moment during the finale, it’s time to put their story on the back burner for the betterment of the series. Better yet, the sooner they can be sent back to the 1970’s the better. If they can’t take their baby with them when they do it, better yet, because it would be far more interesting watching Claire and Jamie raise their grandchild, than seeing Brianna and Roger do it. Season 5 is going to be a make or break season as to whether or not the series has the legs to keep going. I sure hope they can iron out the wrinkles and get back to what was so interesting before, because it would be a shame for this series to peter out. Read all of our reviews of Outlander here. Read our reviews of more of your favorite shows here. For six months out of the year Jeff is holed up in his home with nothing to do but shovel snow, watch television, write, and dream of warmer climates. Keep up with all of Jeff’s reviews here. I am all for Claire and Jamie raising Jem. That’s an adaptation I’ll accept. Thank you for being one of the few who are truly reviewing this season as it is. Thanks for reading Emma! I’ve loved the show since episode one. I went into reviewing Outlander blind, I knew nothing about it, but it won me over immediately. I really wanted to like this season, but it just didn’t work for me. I’m hoping season 5 brings back the adventure and the focus on Claire and Jamie. Good review…so many fans are disgusted with the demise4c of Jamie and the rise of Superwomam Claire, the loss of their passion (which continues in the books..they age, not die), invasion of created stories of no value which caused the ommission of dearly loved scenes due to time constraints. In thr books both J & C are strong but Claire being given Jamie’s parts/words/decisions/actions is actually leading to her being hated by book fans…she’s being called a sour, snarky b–ch. Tooan different writers, no cohesion in the episodes, too much PC, #MeToo memes and 20thC attitudes ruining an awesome 18thC story, the reputation of which is acknowledged by millions of fans worldwide. Why ruin an already acknowledged superb story..defies logic. Thanks for reading. Fingers crossed for a more Claire and Jamie centric season 5! I couldn’t agree more with your review. I don’t care for Roger and Bree’s story line and find that it takes away too much time from Jamie and Claire. 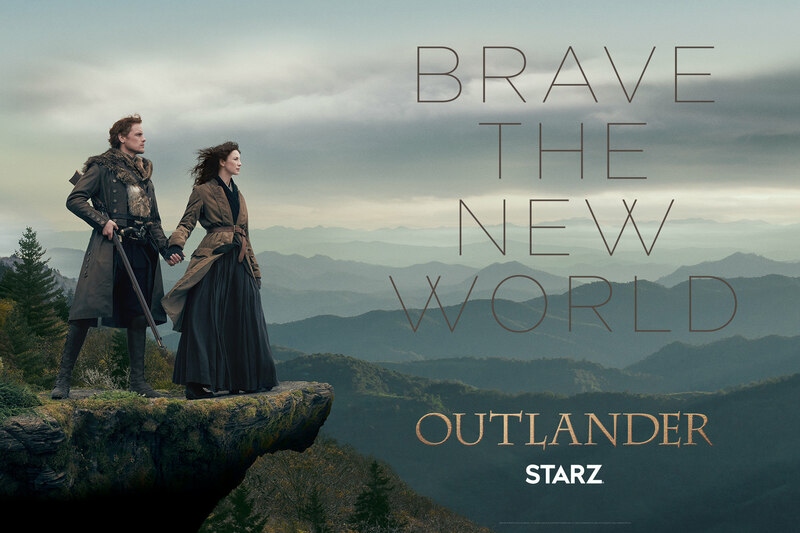 I love this show and I would hate to see it fail when it has been wonderful the past few seasons, but I’m afraid if the writing doesn’t get better, Outlander will loose viewers. Thanks for reading! We should all start a gofundme to send Brianna and Roger back to the future.